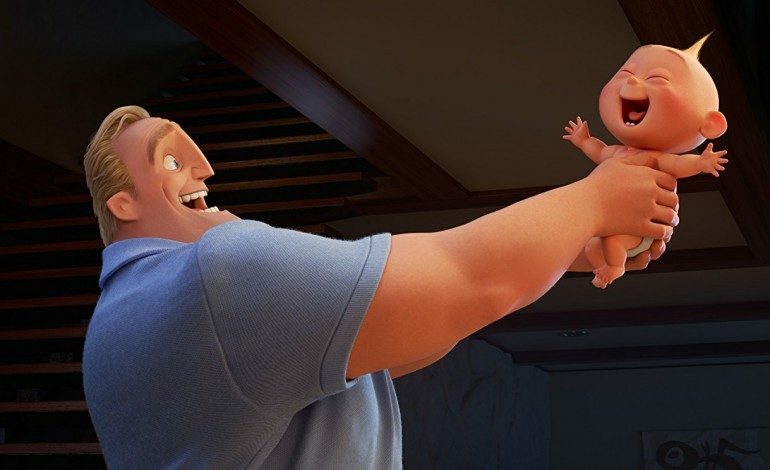 Incredibles 2 looks to follow Bob Parr, or Mr. Incredible, and his son Jack-Jack as Bob learns how to take care of a child while Helen, also known as Elastigirl, saves the world. Most of the original, entertaining cast is back including Craig T. Nelson as Mr. Incredible, Holly Hunter as Elastigirl, Samuel L. Jackson as Frozone, Sarah Vowell as Violet, and even John Ratzenberger, basically known as the “Pixar Guy” because of his appearance in every Pixar film, will make his return as the Underminer, the villain that appeared at the end of the first film. Currently, the only new actor to be announced is for Dash’s character, who is now being played by Huck Milner. Brad Bird, longtime animation director behind the beautiful films The Iron Giant, Ratatouille, and The Incredibles, is making his return to the series by directing and writing The Incredibles 2. We are extremely excited to see what kind of narrative Bird will bring to us, but just by watching the trailer, we can tell we will be in for one heck of a ride. Incredibles 2 will reach theaters on June 15, 2018.